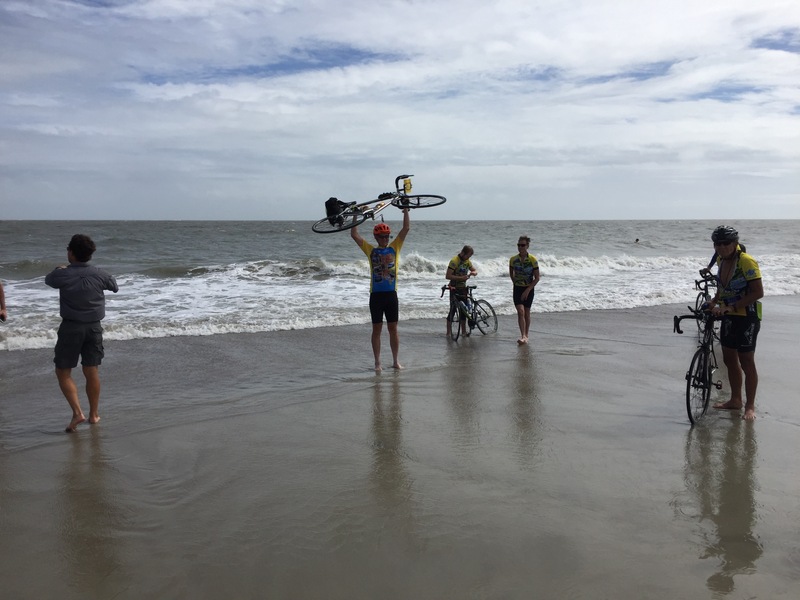 Three more days of riding hills and headwinds, then a flat dash across the coastal plain brought us to the Atlantic Ocean. I stopped writing posts a few days ago because they were becoming repetitive. All we did was get up, eat breakfast, ride, eat, sleep, repeat. That’s the magic of Pactour. Martha and I spent yesterday relaxing on Tybee Island. Most riders have departed by now, probably most are home with their families. I miss them. Lon and Susan have been running Pactours for 35 years. At three rides each year, that makes this the 105th Pactour. I’ve done eight of them. Now I’m John Darling. Martha is Wendy. Lon and Susan are Peter Pan and Tinkerbell. Pactour is Never Never Land.